The fact that those are the best cars I've ever drawn says a lot about me, I think. Paris Hilton looks creepier every time I see her. It's a little early to be resorting to devices like this and passing them off as comics, but the idea wouldn't leave me alone. 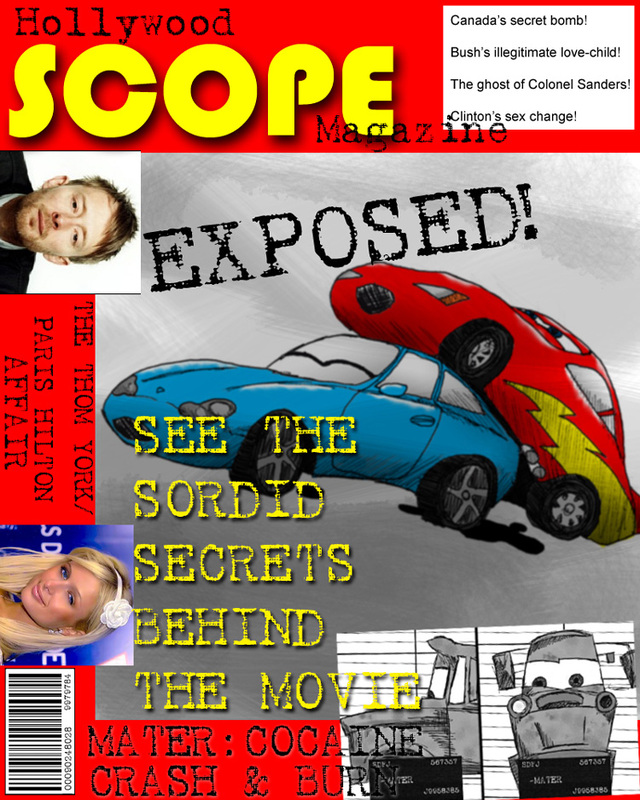 Plus it was a good excuse to bust out my fake-magazine-making skills. Know what's out today? PIRATES! I'll have to see it as soon as possible and make somethign hilariously insulting to post. ARR, MANY A NINJA TO CRUSH!